Hello. 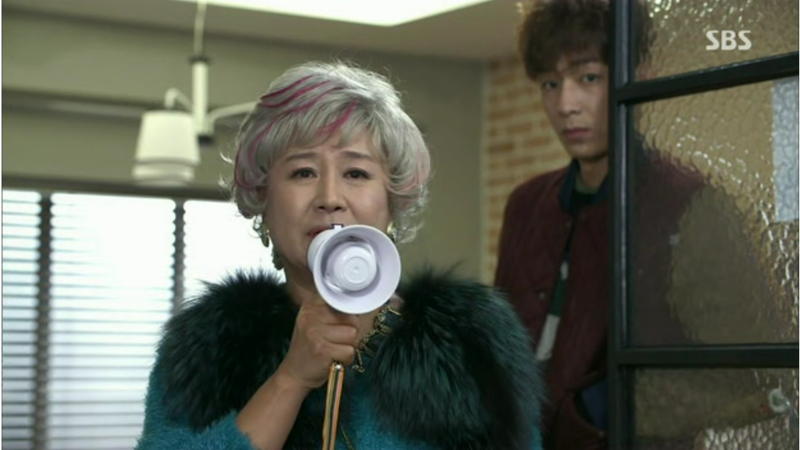 This is Professor AKIA Talking and “The Family is coming” (2015) is my first attempt at a series recap of the Korean drama. This is the recap of episode 2. Compared to episode 1, episode 2 was less frantic with some scenes that could easily been edited. However, the pace of the episode is still relatively brisk. While the previous episode focused on introducing the main plots and all of the subplots, this episode focused on giving us just a pinch of more information about the main plots and all of the subplots. Thus, episode 2 is more about scope than depth. And there seem nothing wrong with that. What is the show really? While I was not sure while watching episode 1, this episode revealed what this show really is. In all intent and purposes, this “The Family is coming” (2015) is a hybrid of a relatively normal Korean family drama and one of those “Crazy and Wacky” Japanese dramas that you can’t help but know they were adapted from an indie Japanese manga. And someone was smoking something they should not be smoking. The main representation of this Japanese element is the character of the Grandmother, Jung Kkeut-Soon. The show has her living in America for the last half century prior to the start of the first episode of the show. However, there is no way in H**L that she spent that much time in America. America does not grow people like that! She liked to dress on the surface as cute girly girl right out of a teenage girls’ drug induced fantasy. She likes to act pure and girly. At the same time, she is also very wacky, determined, and dominates that room when she wants while still being rather cagey. You cannot really resist her because of the pure amount of momentum she creates just standing in one place. In other words, Jung Kkeut-Soon is a Japanese manga girl character!!! The American version of that is a Manic Pixie Dream Girl. However, Jung Kkeut-Soon is not that! 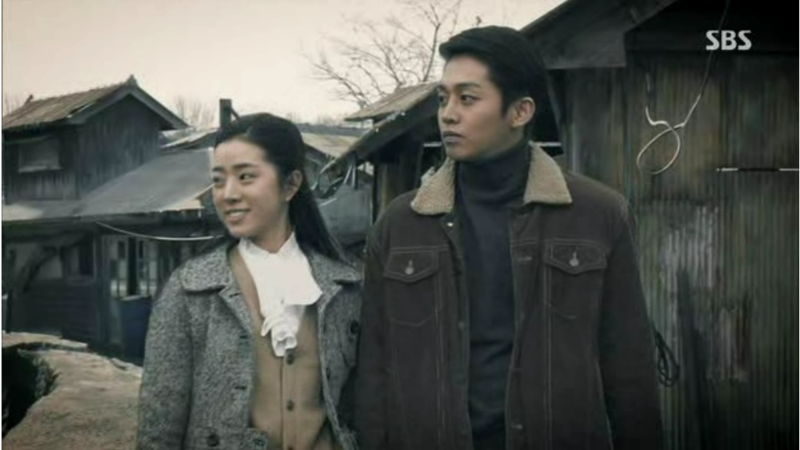 The show also reinforced this connection with Japanese dramas by the music choices that seem to animate the screen as if this was a salient movie. I am not that well versed in the history of music. The show’s music choices seem something like wacky big band music stuff. However, I know I am wrong about the terminology. What I know is that I have actually heard this show’s music on Japanese shows with wacky characters. However, it is not just the wackiness that defines these type of characters. Another thing that defines these type of characters is that the wackiness and momentum of the character propels him or her into the eye of the storm. While everyone around the character is frantically trying to navigate the chaos, this type of character is still and in control. However, whether the source of this control is either one’s intellect or one’s clueless confidence is not clear. It could go either way. This is the feeling I get from watching Jung Kkeut-Soon. I am not sure if she a mastermind that already knows everything that everyone is scheming and is manipulating everyone or if she just reacting to everything and it is her momentum and pure luck that propels her. In any case, Jung Kkeut-Soon controls the scenes in which she is in that, when she is not, the show loses a lot. In contrast, most of the other characters are your standard Korean family drama comedic characters with the exception of the con-lady, Na Joon-Hee / Susan Johnson, who has some Japanese character DNA in her. The plot that progressed the most is Jung Kkeut-Soon’s plot to insert herself into her long abandoned Korean family. 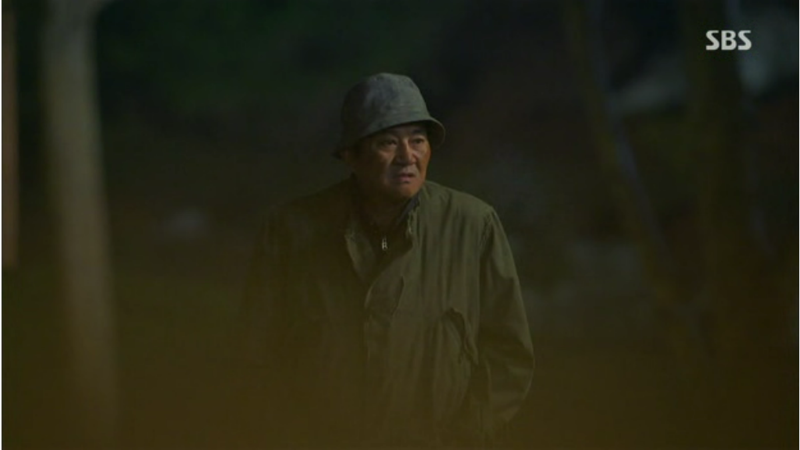 The first episode left us with Jung Kkeut-Soon being figuratively surrounded by villagers with pitch forks. 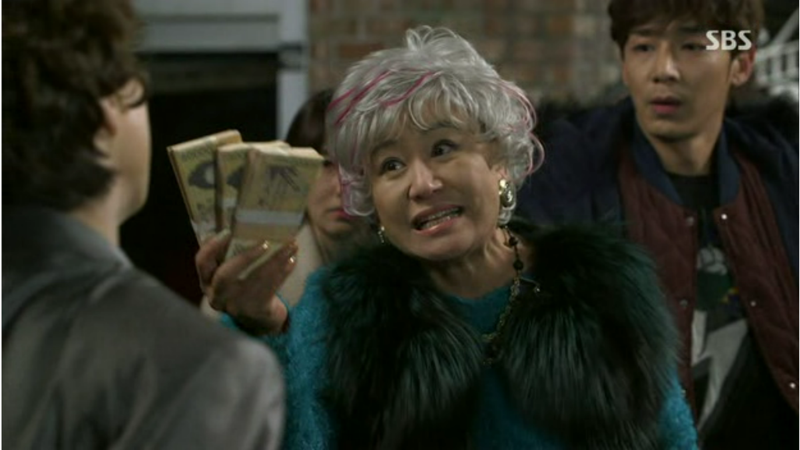 However, the tables are quickly turned as Jung Kkeut-Soon takes out a portable Loudspeaker and announces that she is rich! Everyone expect for the grandfather suddenly and very obviously shifts attitudes. Jung Kkeut-Soon, so naturally, becomes the center of family as everyone else starts to pander to her. Among the family, the more socially successful daughter of Jung Kkeut-Soon, Choi Dal-Ja, is the best as scheming as she tries to bribe her mother’s lawyer for information and influence. The others are somewhat naïve but not clueless of what should be done. The daughter in law, Kim Jung-Sook , tries to pander to Jung Kkeut-Soon with food while the others try to act like a good family in front of their financial windfall. Compared to the first episode which tried to shove a lot of plots into an episode, the second episode seems to focus on putting on a better light on the family. In the first episode, while they were outrageous, you did not particularly like them. This episode tries to make them more likable by showing them as being naïve. This especially true for the grandson, Choi Dong-Suk, which I could not really stand in the first episode. This episode has him far less spouting legal techno-babble. The daughter is an exception as the actress that plays her looks so unlikable as a character. While Jung Kkeut-Soon seems to be honestly enjoying the attention of her family, she is not acting overindulgent or unreasonable. She seems to just a weird but nice grandmother that seems to somehow always be the center of the room. Then, Jung Kkeut-Soon really gets a chance to show off as the grandson in law, Park Se-Ho, married to the older granddaughter, Choi Dong-Eun, is being assaulted by debt collector hoodlums. This scenes is also very Japanese drama as the leader of the hoodlum, who seems to have resurrected 70s Japanese fashion, is also a female cross dressing as a man. Jung Kkeut-Soon tosses money at the hoodlums like it was nothing but at the same time gets a steep discount on the original debt. The result of this is that the family becomes more dominated by Jung Kkeut-Soon while she is acting like it was nothing. The family asks her to move in and Jung Kkeut-Soon invites her lawyer to stay too. This leads to a date with her grandson, Choi Dong-Suk, as they sight see and she reminisces about when she was young to her grandson. Via flash backs, we get a tidbit of information about her relationship with grandfather who married her against his family’s wishes. One unrealistic thing here is that they drink coffee in a old coffee shop that the grandmother used to frequent. Considering how Korean coffee industry works, there is no way that the coffee shop would have the same interior designs. Those change like every year now. This is not Paris! She also seems to bond with her grandson as they both like art. Also, she confesses that she cannot read. Whether this is only limited to Korean or also English is unclear. I do not know if this is true at this point. It seems overly cliché even for this show. 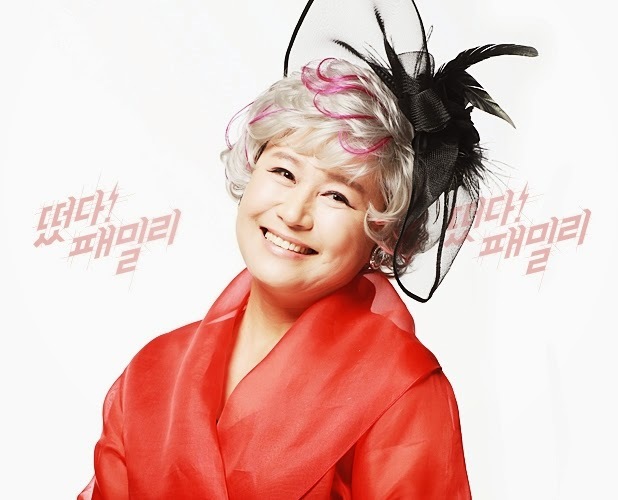 The show ends with Jung Kkeut-Soon twisting her daughter’s arm in order for her to pay Jung Kkeut-Soon’s son debt so that they could keep the house. Jung Kkeut-Soon says that it takes her two months to liquidate some assets to generate that much cash and thus she would pay her back with interest then. Whether or not this is true is unknown. Oddly, the show is still very cagy about whether Jung Kkeut-Soon actually has the money or is just bluffing for some reason at the moment. It may be foreshadowing or it may just be melodramatics. Progress wise, the other main plots were put rather on a back burner. The “con” plot with Na Joon-Hee / Susan Johnson and Jung Joon-A was relatively absent from the episode. In its place, the relationship between Na Joon-Hee / Susan Johnson and Choi Dong-Suk is starting to become a subplot as they quickly fall in the dynamic of the two bickering like old siblings. Na Joon-Hee / Susan Johnson tries to influence Choi Dong-Suk with information about how to stay on the good side of Jung Kkeut-Soon. However, this does not matter as he does not follow anything she said because he is just that naïve. Another subplot that sprout out of the “con” plot is the whole “almost getting caught as being a fake lawyer then getting away because of some random event “ subplot. There were at least 3 times this occurred in this episode alone and this could get old fast. There is no real progress on the Choi Dong-Suk trying to get the inheritance plot line other than bonding with his grandmother and somehow getting her to make his aunt pay for it. In this episode, there were some minor developments with the subplots. Some were concluded like the “father wondering around” subplot. After a few scenes of the father, Choi Dal-Soo, pretending to be Charlie Chaplin in “The Kid” (1921), he comes back home although to a beating on the behalf of his son in law’s loan sharks. This is also true for the son in law’s plot as Jung Kkeut-Soon took care of it. Last episode, we had the sub plot of Choi Dong-Suk’s ex-girlfriend. In this episode, we get to know what exactly happened with her via flashback after he bumps into her and stalks her for a while. It seems like they were dating for 10 years when they broke up when he quit his job because of some reason I guess was related to his passion for art. Also, finally every member of the family ended up at the house as the eastern medicine doctor younger granddaughter, Choi Dong-Joo, came home suitcase pack with a shiner on one eye. She is getting divorced. 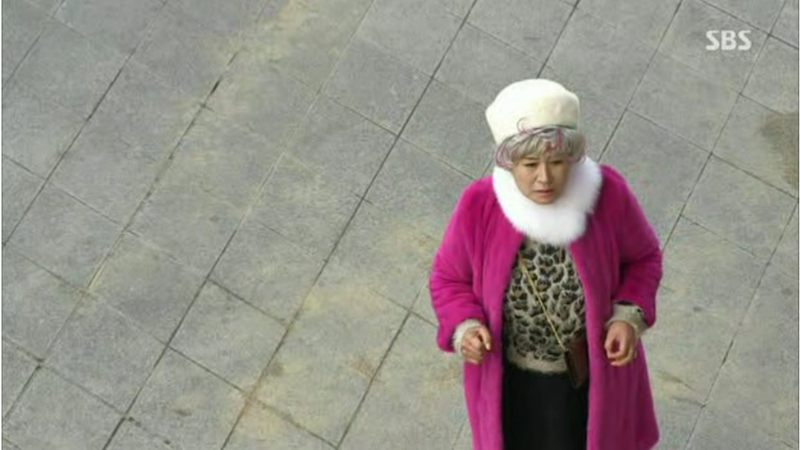 The typical rich mother in law crashes the place but Jung Kkeut-Soon also uses her magic to make her retreat. Oh… And I finally found out that this granddaughter was the younger one of the two granddaughters. 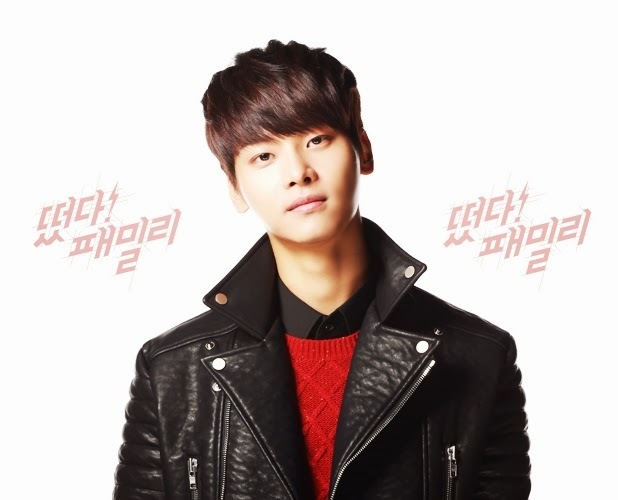 Oh, there seems to be “boarder” young man, Cha Hak-Yeon, in the house for some reason. 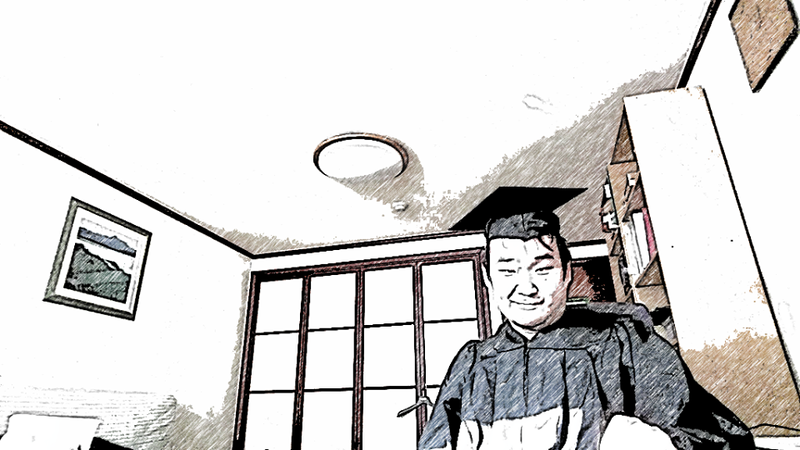 It is the first time he enters the scene. 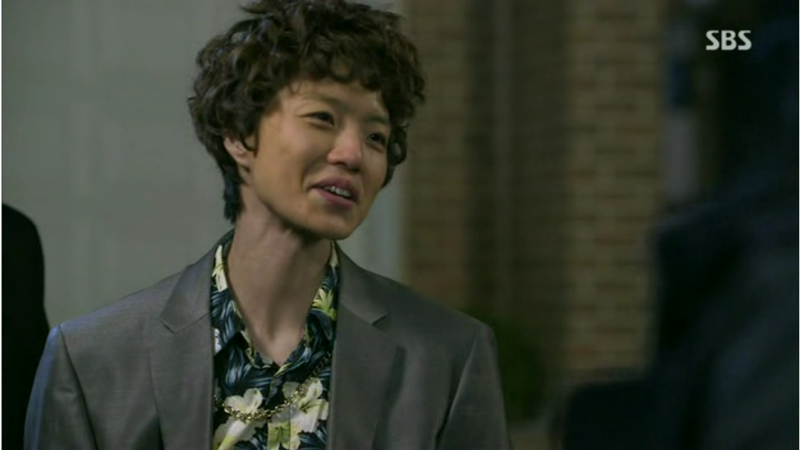 Also, the whole “Na Joon-Hee / Susan Johnson miss pronouncing Korean phrases joke” is officially a subplot of the show. The joke is not funny after the 10th time it occurs. And what happened to the grand father’s fiancé this episode? That is episode 2 in a nut shell and it was a slower one than episode 1. Whoa! It does not seem so on paper. “The Family is coming” (2015) seems to be a show that will slowly dole out information regarding what Jung Kkeut-Soon has up her sleeves. And I do think that THAT is 50% of the fun of the show. While the other characters are decent enough for a Korean drama, it is Jung Kkeut-Soon’s Japanese drama character who dominates the screen and is sorely missed when she is not on screen. The problem with this is that, since this is an ensemble show, there are huge gaps of scenes when she is not on screen. 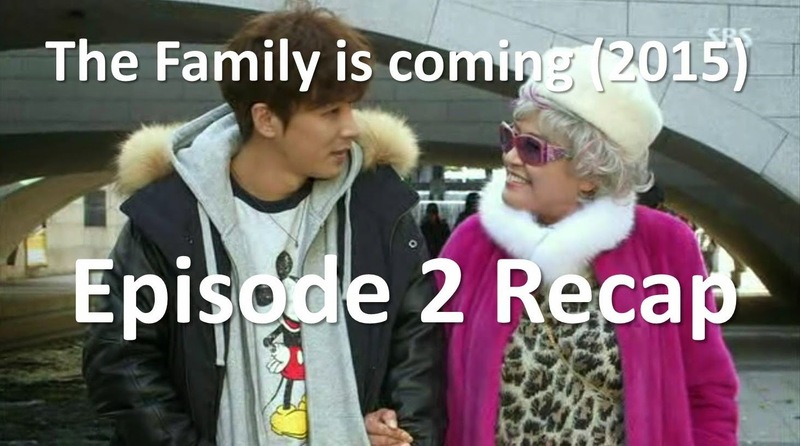 Thank you for reading this recap of episode 2 of “The Family is coming” (2015). The show seems very watchable at the moment. Cartoon Excerpt From "I am Legend"